Being Italian-American is one thing. Being Italian is another. I strive to be both. I am a dual citizen of the USA and Italy. Again, so what you say. Aspetta! Wait! I will explain. I love the history of the Italian people. Our ancestors conquered the known world 2000 years ago and influenced nearly every culture in Europe and Northern Africa (not always for the best). Some of the greatest adventurers, philosophers, scientists, artists and musicians were and are Italians. The Renaissance again changed the world and the Italians instigated it. Dante, Gallileo, Michelangelo, DaVinci, Bernini, Puccini, Pavorati, Sinatra….need I go on? Then there is the belief that Italians are “lovers, not fighters.” I am all for that. Love is everything…love of family, love of a significant other, love of friends, love of the world, love of life itself with all its ups and downs. I want to be like that. I work to be that way. Another quality of Italian life that I admire and aspire to attain is living la dolce vita, the sweet life. To me it means enjoying every single moment of my life. It means experiencing it all, the great and the not great moments. I learn from them. I grow from them. It means there is no rush. I can contemplate my biscotti for hours if I choose. It means I can sip a tiny cup of coffee forever while people-watching or just staring. It is my life and I can live it at my own speed. This is who I want to be. I am Italian-American and Italian. I am simmering on low while experiencing it all. How does my being Italian benefit you? My love of all things Italian can aid you in knowing Italy and Italians better and maybe even yourself. Want to know something about Italy? Ask me and I will either have the answer for you or I will do my best to find it for you. If you are Italian-American but have never been to Italy, I can get you there and help you learn even more about being Italian—just as I did. 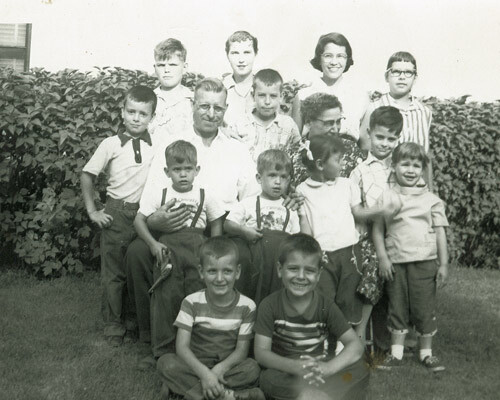 I can help you find your Italian roots, your Italian family and maybe your true Italian Soul. If you want to learn about Italy and experience it like a native, I can help you too. My business is called Take Me Home Italy and that is one way I can help you. Check out www.TakeMeHomeItaly.com.